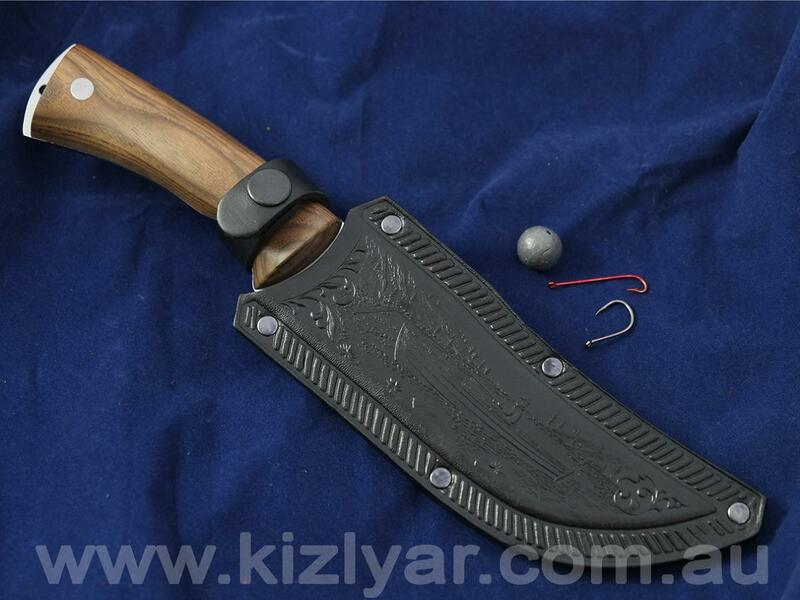 the Ryback is one of the older Kizlyar models, that has not been sold in the Australian market for quite some time. The name Ryback means fisherman, however thsi is not a fishing knife by no mean. It is simply called that, because of its distinct shape of the blade, which resemples the hull of old wooden fishing boats that are still being used on the Caspian Sea. The acid etching motif and the embossing on the sheath are all related to the name of the knife. 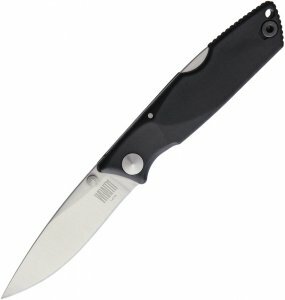 As for its actual ourpose this knife is an excellen all-around tupe hunting knife, with tough enough, but at the same time, thin enough blade, which makes catting and skinning tasks very easy. It is especially a great skinning knife for large game, the likes of buffallos, large deer etc. 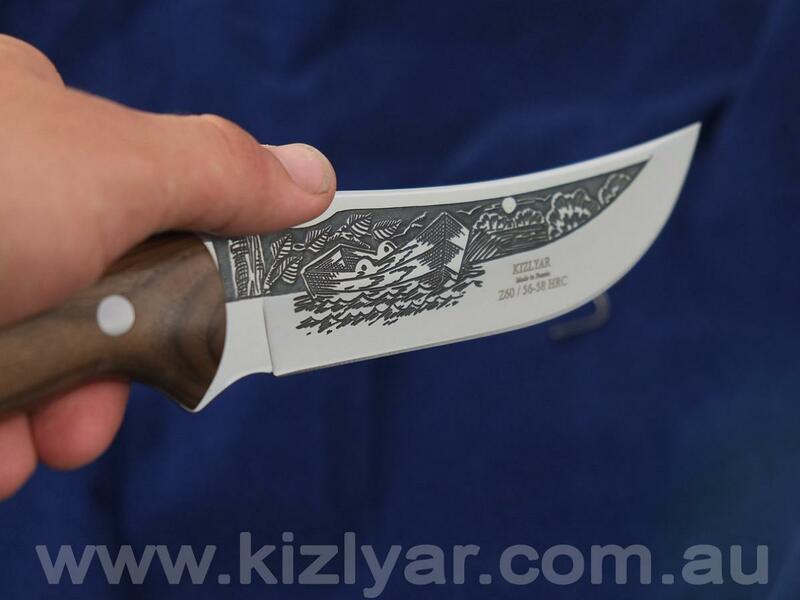 At 2.3 mm thick, the blade of the Ryback is relatively thinner than most other Kizlyar knives, however it is designed this way to serve as light, very fast and super sharp blade, which is great for carving meat, skinning and all-around camp kitchen tasks. 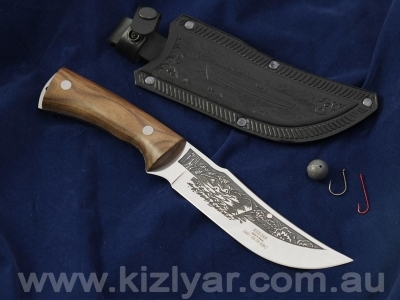 The handle, as you would come to expect from Kizlyar knives, is of the carefully crafted, resin impregnated Caucasian walnut variety, permanently fastened to the full tang with solid stainless steel rivets. A small portion of the tang is exposed at the end of the handle, presenting a lanyard hole. The included sheath is of the heavy, embossed black leather type.